We’re back again, Spanish football fans, back again. As Matthew Hirtes delivers another class in Iberian fútbol. This time, he’s profiling Real Valladolid. Times are a-changing in Valladolid as it tries to shake off its Fachadolid sobriquet, earned after fascist thugs gave it the worst city nickname in Spain. The mayor since 2015 has been Oscar Puente, of the Spanish Socialist Workers’ Party. And on 3rd September 2018, black Brazilian former footballer, (the original) Ronaldo became the majority shareholder of Real Valladolid after acquiring a 51% stake in the Castilla y León club who have played in the 26,512-capacity Estadio Nuevo José Zorrilla since 1982. Individually they were known as defenders Paco Lesmes (I), Rafael Lesmes (II), and Román Matito. Collectively, however, they were heralded as El Muro de Pisuergo. 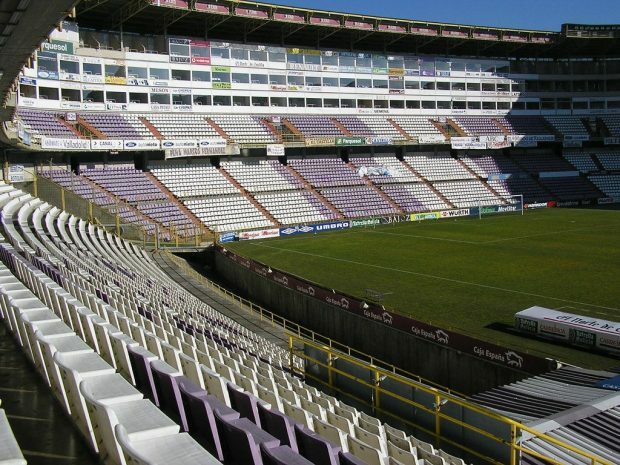 The Pisuergo Wall would be the foundations on which Real Valladolid would record an eighth-place top-flight finish in 1951-52, beating the mighty Reals Madrid and Sociedad and Sevilla in epic encounters at home. Although he’d not quite reach the peaks of his more celebrated Portuguese near namesake, Spain’s Eusebio breathed in rarefied air whilst registering some career highs. The central midfielder’s 543 La Liga appearances rank him third in the all-time list after those of Spain international teammates Andoni Zubizarreta and Rául. And the bulk of these were made with his hometown club, debuting with Valladolid in 1983 before retiring at the end of a second spell with the Pucela in 2002 after returning from playing an integral part in the success achieved by Johan Cruyff’s Barcelona. “Mata ya es leyenda” screamed the headline of the 4th June 2018 news story on the Real Valladolid official site. The Madrid-born goalgetter Jaime Mata guaranteed legendary status by converting a penalty against Osasuna. 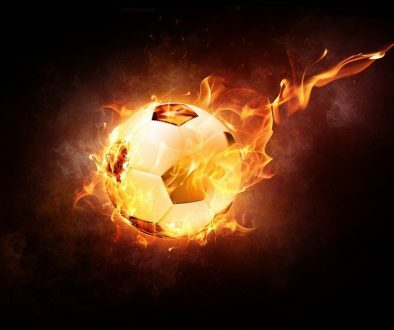 This earned him 33 goals for the season, a La Liga 2 record, and Valladolid a place in the play-offs which they went on to win; sealing a return to La Liga proper in the process. For the majority of Spanish football history, there has only ever been one cup: the Copa de la Rey. Yet in the 1980s, there was the short-lived Copa de la Liga which Real Valladolid won in June 1984, defeating Atletico Madrid 3-0 on aggregate. The club have also netted a hat-trick of second division titles, the first in 1947-1948 and the most recent in 2006-07. Start wearing purple by buying a classy hoodie commemorating the year in which the Pucela were founded: 1928. The New José Zorrilla Stadium is located in the largely residential neighbourhood of Parquesol, Valladolid’s south-westerly 70s barrio. Even newer still is Vasis’s Cafe which opened in 2014 and specializes in meaty treats including the traditional oxtail in red wine. More central is the stylish Rioluz Gastronomía whose innovative design resembles a giant turtle resting in an appropriately riverside setting. 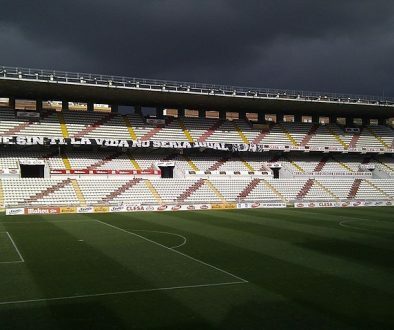 The Federacion de Peñas del Real Valladolid lists 35 fan associations. These include supporters’ groups in La Coruña and Madrid. If you want to set up a group yourself, they welcome applications. Matchday tickets range in price from 25€ (Grada Sur) to the 75€ seats in the Tribuna Especial. You can buy them in advance and on the day at club ticket offices. There’s also an opportunity to purchase tickets online.